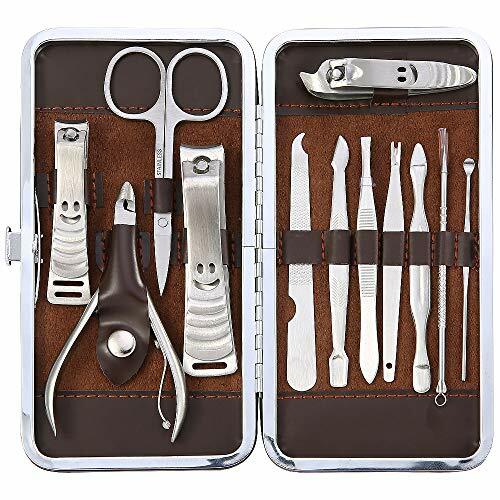 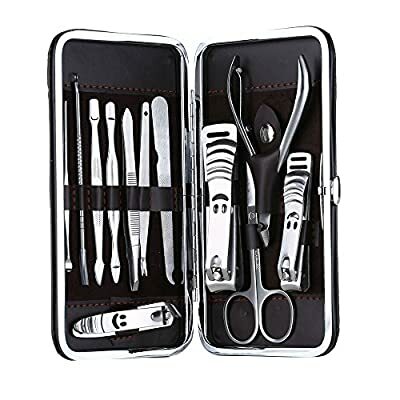 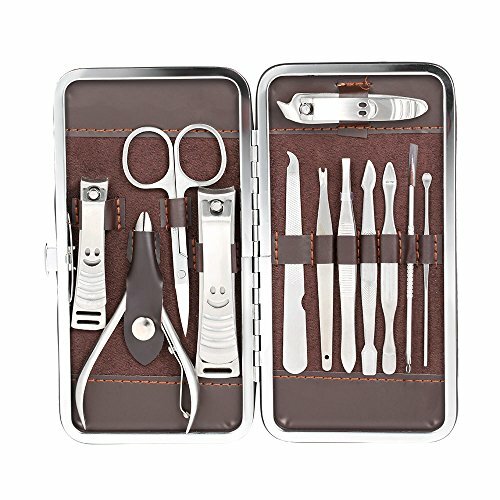 The kit contains 12 tools, including tweezers, cuticle clipper, nail clipper, nail file, ear pick, cuticle pusher and so on. 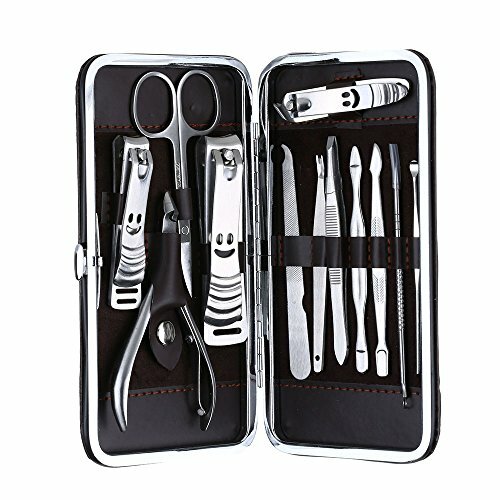 All tools are made of stainless steel and can be used for many years as newly-purchased ones. Each tool is designed for special function which brings much convenience beyond your imagination.c Delicate case with metal rim and fastener, good protection for tools from dropping Small size and light weight, you can take it anywhere.